The TuffKnives Custom Catalyst V from Geoff Blauvelt offers EDC perfection for the seasoned collector. 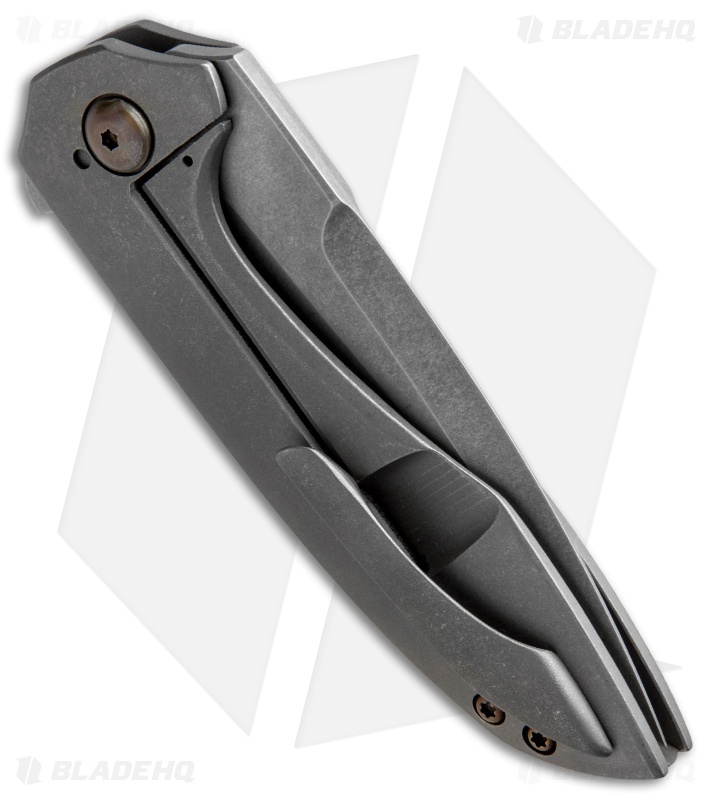 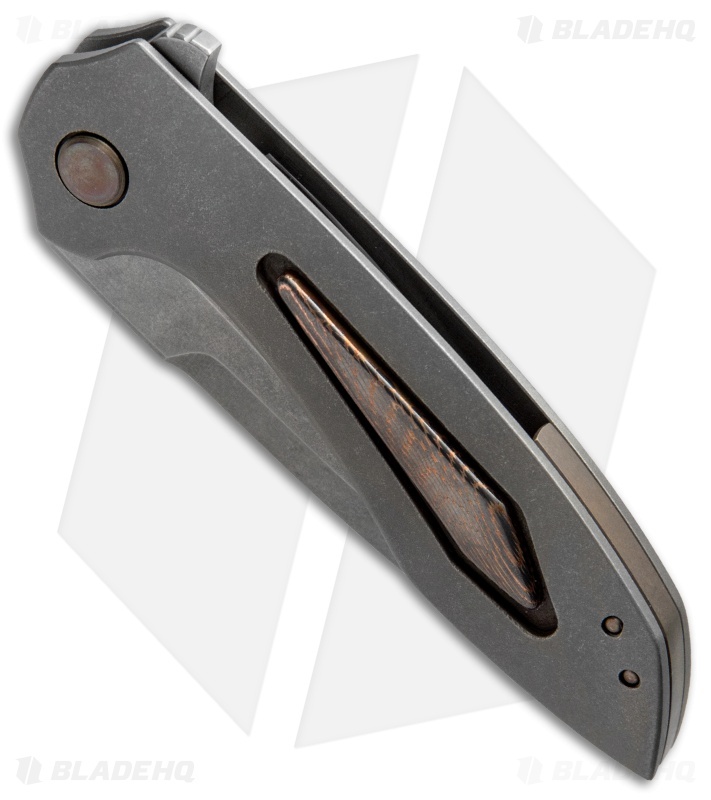 This flipper knife has a comfortable titanium frame lock handle fitted with a superconductor inlay. 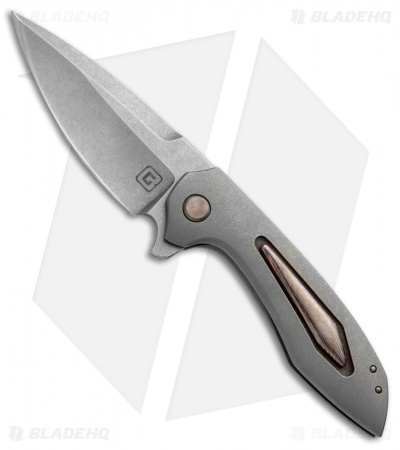 The spear point blade is made from CPM-154 with an acidwash finish. A sleek titanium pocket clip and a bronzed back spacer finish off this flawless custom design.